The Tories will stop all aid to China and carry out a review of how much money Britain sends abroad if they win the next election. 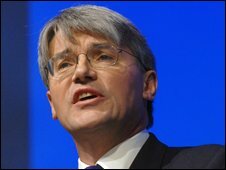 Shadow International Development Secretary Andrew Mitchell is due to say this during his speech at the Conservative conference in Birmingham. The party is committed to increasing spending on international development to meet key UN targets. But Mr Mitchell will say aid should only be given to those in real need. In the speech, Mr Mitchell, MP for Sutton Coldfield, is expected to say many taxpayers are probably unaware that the UK still gives aid to China and will be astonished by the fact. The superpower, which spent £20bn on the Beijing Olympic Games, received more than £38m in British aid last year. Mr Mitchell is due to tell delegates at the conference that a Conservative government would stop this and carry out a root-and-branch review of all 115 aid programmes around the world. The Tories are committed to increasing spending on aid, but want to ensure it is targeted on countries and people who need it the most. The Department for International Development said it is planning to stop aid to China in 2011 and its programmes are all rigorously assessed to ensure help reaches the poorest.